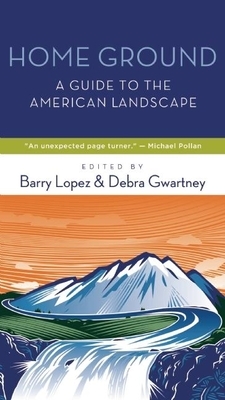 Hailed by book reviewers as a "masterpiece," "gorgeous and fascinating," and "sheer pleasure," Home Ground: Language for an American Landscape was published in fall 2006 in hardcover. It was met with outstanding reviews and strong sales, going into three printings. A language-lover's dream, this visionary reference revitalized a descriptive language for the American landscape by combining geography, literature, and folklore in one volume. This is a totally redesigned, near-pocket-sized field guide edition of the best-selling hardcover. Home Ground brings together 45 poets and writers to create more than 850 original definitions for words that describe our lands and waters. The writers draw from careful research and their own distinctive stylistic, personal, and regional diversity to portray in bright, precise prose the striking complexity of the landscapes we inhabit. Includes an introductory essay by Barry Lopez. At the heart of the book is a community of writers in service to their country, emphasizing a language suggesting the vastness and mystery that lie beyond our everyday words. Barry Lopez is the author of "Arctic Dreams, Of Wolves and Men, Resistance, Light Action in the Caribbean, " and eleven other works of fiction and nonfiction. His essays are collected in two books, "Crossing Open Ground" and "About This Life." He contributes regularly to "Granta, the Georgia Review, Orion, Outside, the Paris Review, Manoa, " and other publications in the United States and abroad. In addition to the National Book Award, he is the recipient of an Award in Literature from the American Academy of Arts and Letters, as well as fellowships from the Guggenheim, Lannan, and National Science Foundations. He lives in western Oregon. Debra Gwartney is the author of the memoir "Live Through This, " published by Houghton Mifflin Harcourt in February 2009. She teaches creative writing at Portland State University and lives in western Oregon. Molly O'Halloran is an illustrator and cartographer whose work has appeared in volumes of fiction, travel writing, essays, and archaeological editions. She has lived and worked in Chicago, the Upper Sonoran Desert, the northern Sierra Nevada, and the Great Basin and now calls Austin, TX, home.